Take part in one of the most fun activities in the shooting world. Myself and the guides that work for me are experienced hunters who will create the hunting/shooting experience of a lifetime. Last minute trips are always welcome but I would recommend booking well in advance due to high demand. My business has a lot of repeat clients that book once their trips year after year, so the schedule fills up quickly. 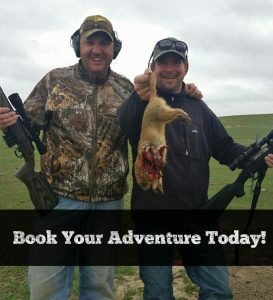 Upon booking a trip with Bubba’s Outdoor Adventures, clients are required to put 50% down once you booked the dates you requested. You have a 30 day grace period before the trip starts to cancel. The reason for this is to give myself and my guides enough time to re-book other clients for those days. I realize that things happen and I am very flexible on this.